Established in 1932, Aybakar is one of the major machinery and equipment manufacturing companies in the field of grain processing industry. They deal with the realisation of turnkey mill projects and modernisation of wheat flour, semolina and maize mills. The first mills that were designed by Aybakar's engineers and technicians have satisfied the domestic market requirements. Encouraged by the experiences in Turkish market, Aybakar has expanded abroad by modernisation of existing mills and accomplished implementation of turnkey projects as well as exporting milling machinery and equipment to 45 different countries and has been rendering continuous after sale services successfully. By the feedback and close cooperation of clients, their research and development department had the opportunity to develop modern, high capacity and efficient mills at reasonable prices. Working under ISO 9001-2000 standards, they have always made technology and development their highest priority. In the meantime, CNC machine tools have been introduced to their machine shop in order to improve their quality and increase production capacity. As far as turnkey milling plants are concerned, Aybakar has the honour of offering state of art technology to their clients, reducing energy needs and labour costs. 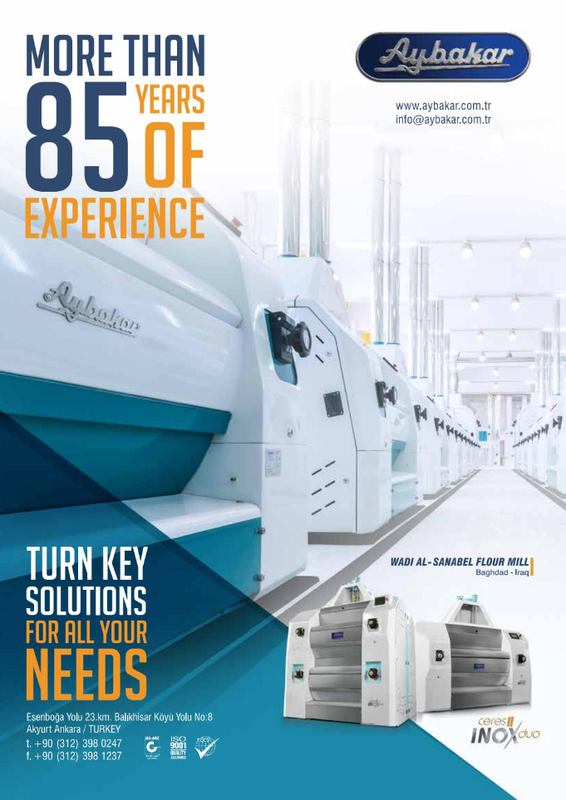 State of art technology, high quality machinery and precise after sales services are Aybakar's chosen path for the ultimate goal: customer satisfaction. Visit the Aybakar website, HERE.